Nokia X6 is HMD Global’s first smartphone with pony screen design and since it was launched last month exclusively in China, this smartphone is highly anticipated by fans in the global market. However, until now the new Chief Product Officer HMD Global, Juho Sarvikas that membeikan signal that Nokia X6 will be brought to the global market. 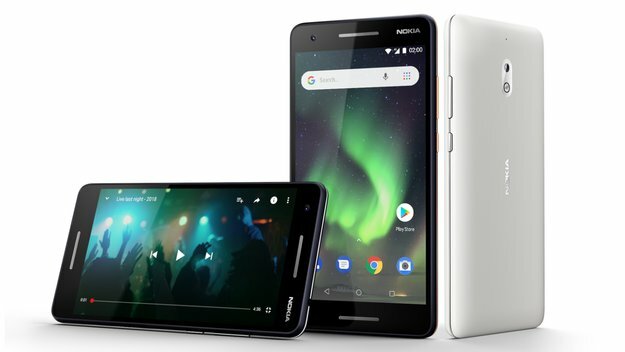 Surprisingly enough, Nokia X6 has recently appeared on the official Nokia website, although in the end the list of smartphones has been revoked. This clearly indicates that HMD Global is likely to market this smartphone outside of China. From the photos shown, obviously this device will come with the exact same design as the Chinese version. So is the estimation of the hardware specs embedded. It’s just a different interface. Global Vesi is expected to come with Android 8.1 Oreo as part of the Android One program. Just for your information, Nokia X6 marketed in China has a 5.8 inch screen with FullHD + resolution. As for the aspect ratio is already present, ie 19: 9. As for his brain, this smartphone has been equipped with Snapdragon 636. Available RAM options are 4 GB and 6 GB. So also its ROM, which is 32 GB and 64 GB. There is a dual-camera settings are also embedded into the Nokia X6 with 16 MP configuration as the main lens and 5 MP as a secondary lens. In front, there is a selfie-camera with 5 MP resolution. Nokia X6 itself began to be marketed in China on May 21, 2018 ago. The price offered, for variants 4 GB / 32 GB priced at US $ 204, and variants 4 GB / 64 GB dibanderol the price of US $ 236 or about Rp3, 3 million. As for the highest variant, which is 6 GB / 64 GB priced at US $ 266 or approximately Rp3, 7 million. Nokia X6 only provides three color choices, namely Blue, Black and Silver. All offered variants are also equipped with a battery with a capacity of 3060 mAh.